Send people on a road trip to the past with this historical and timeless Classic Creative Presentation from Venngage. 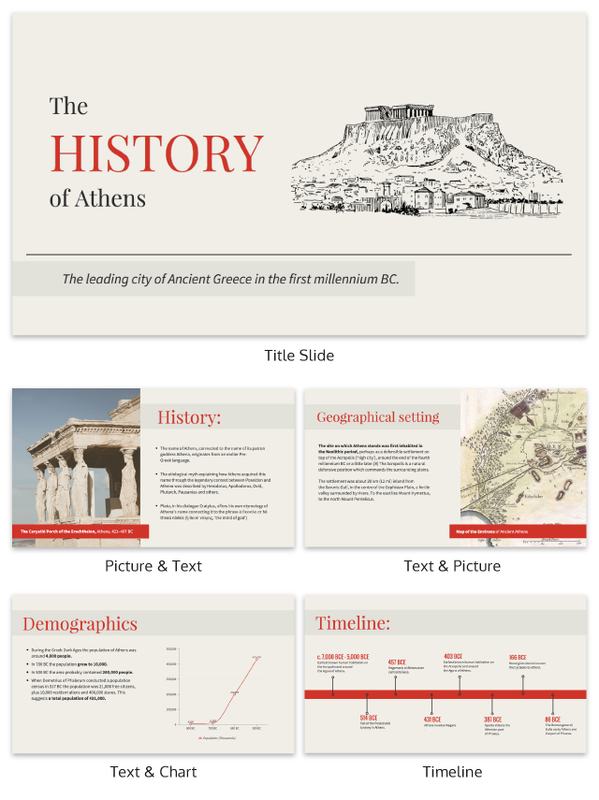 Regardless if you’re discussing events in history or demonstrating a geographical experiment, the Classic Creative Presentation template is a great choice. You can change everything from the content to the background design. Create a captivating presentation when you customize the Classic Creative Presentation template with charts, timelines, bright or subdued colors, images and icons. The template is also great for adding other elements such as tables, graphs, diagrams, or uploading photos and illustrations. The possibilities are endless when you edit the Classic Creative Presentation from Venngage!